15 through November 30. This was not my first trip on the ferry but it was the first for all three grandchildren. Isa loved it!!! Caleb was not fond of the ride at all and Davey was so scared...he was sure the Jeep and us were going down. As we started across the river Davey got less and less scared. By the time we were driving on shore on the other side of the river ...Davey was ready to travel back and forth! The fear was gone! 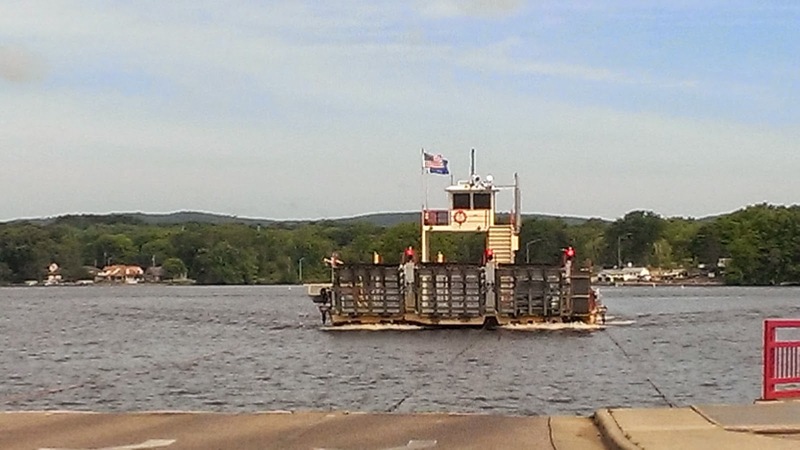 The ferry is a great reminder of how many people crossed rivers years ago. Now it is not the norm...but years ago ferry travel was very very popular. totally missed buying tickets. 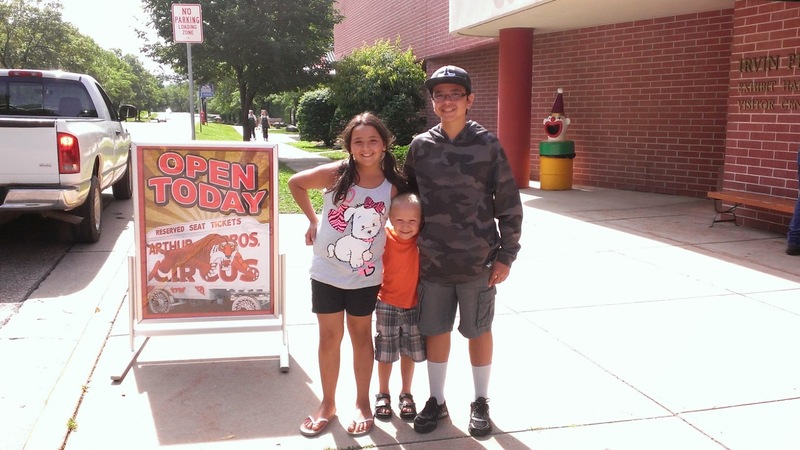 At that time we made the decision to check out the Circus World Museum this summer. At the annual Pancake Breakfast at the kids school we won a raffle that included 4 tickets to Circus World! Once inside we headed to the Tristan Crist Illusion Show that was starting at 10:15. Fun show...lots of great magic tricks that we are still talking about. We can not figure out how it did what he did! I was not able to take any pics so trust me it is a good magic show! 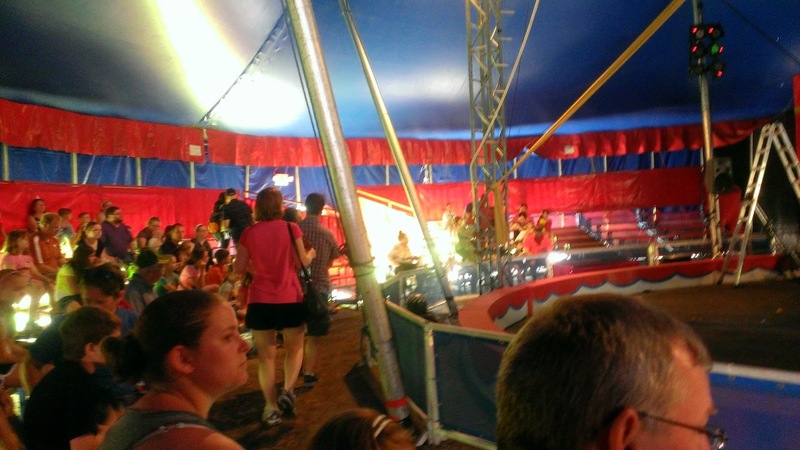 Once the Tristan Crist Illusion Show was over we headed to the Big Top for the Circus Performance at 11:30am. Here are a few pics before the show started. 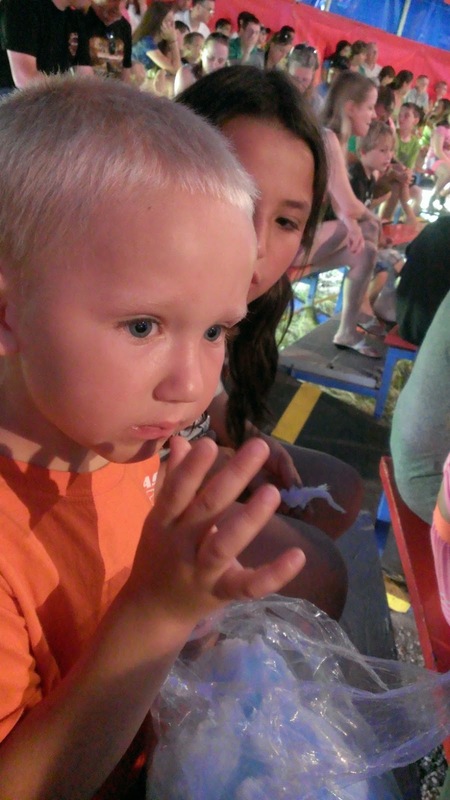 Davey wanted Cotton Candy so we all were enjoying the Blue Cotton Candy that makes going to the circus so much fun! The BIG TOP SHOW was fantastic! If we seen nothing else put the Big Top the tickets price would of been worth it! For over a hour we watched some amazing circus acts. Again no pics and I did not want to tell you the acts because the suspense is half the fun! But again....I highly recommend that you check it out! All four of us truly liked the Big Top Show and would return each year for the new yearly show. 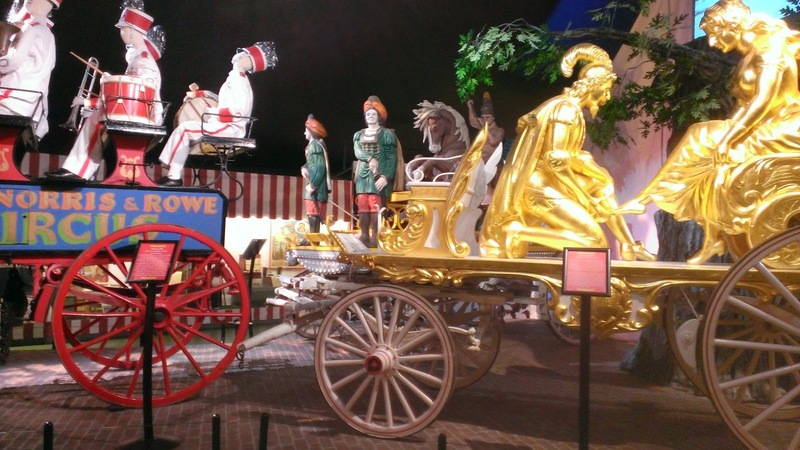 and I to see the beautiful wagons, items used to perform acts and follow the path of the circus acts was really interesting. 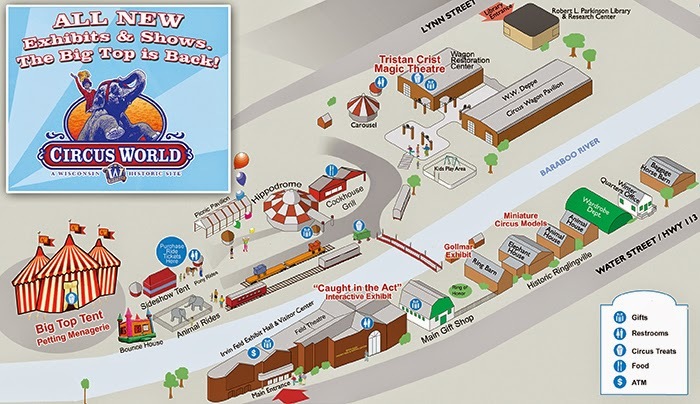 Circus World is located in Baraboo Wisconsin just south of Wisconsin Dells....it is definitely a historical attraction that should be on everyone's bucket list. Very interesting and I am sure we will be visiting again. 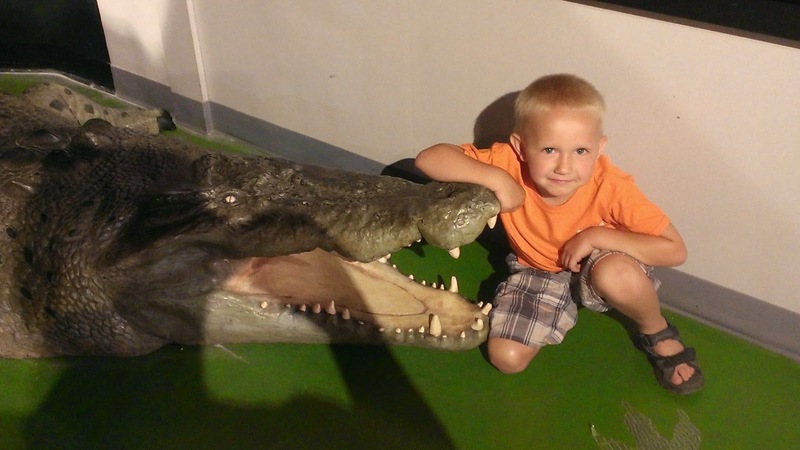 Lots of fun and I bet the ferry ride was great for the kids!